The Sharp Aquos LC-50N5000U is more than just a pretty face. The HD TV (1080p) delivers a pleasing picture for its sub-$450 price, a respectable array of connections, and basic smart-TV functions. Like other bargain sets, the 50-inch Aquos LC-50N5000U doesn’t support 4K/ultra-HD or HDR (high dynamic range), but its performance with Blu-ray discs and HD broadcasts will please most people, thanks to the LCD TV’s full-array LED backlight. 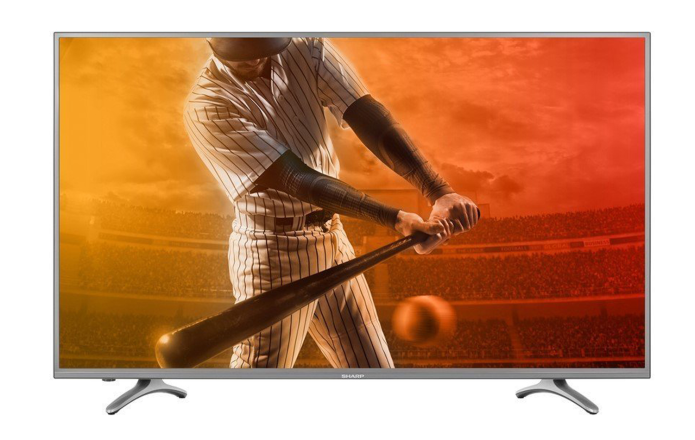 Shoppers should note that the Sharp TV brand in the U.S. is owned by Chinese manufacturer Hisense, so it shouldn’t be a surprise to find that this 50-inch LCD HD TV is comparable in many ways to the Hisense 50H5C. The Sharp TV’s superior design, sound levels and subtly tweaked picture set it apart from the Hisense set. Handsomely adorned with a brushed silver chassis, the Aquos LC-50N5000U looks anything but cheap. Rather than using a center pedestal, it sits on legs situated on both ends of the set for stable tabletop positioning.